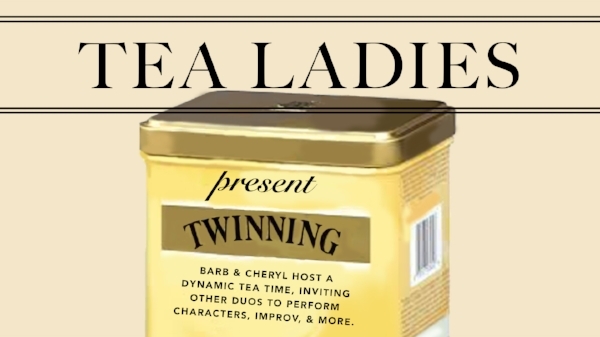 Barb and Cheryl host a dynamic tea time, inviting other duos to perform characters, improv, and more. The Tea Ladies are 100% real though (and they always spill the tea! ).